And we’re back! It’s time for the next installment of our “Author Insights” series. 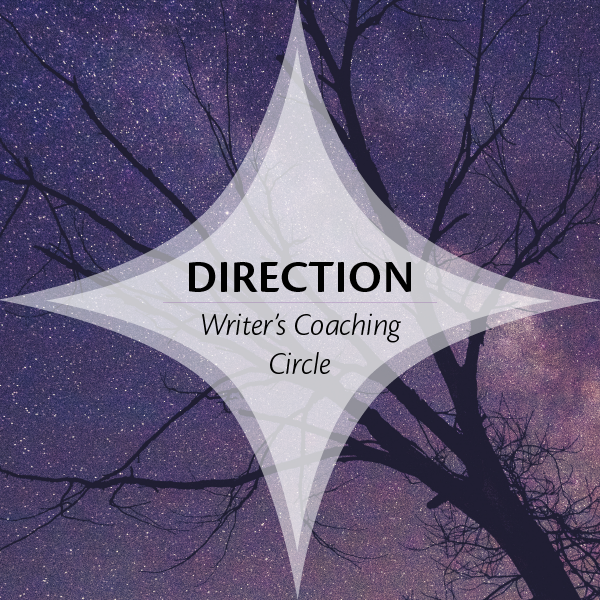 In this series, I’m introducing you to writers who’ve taken their writing all the way to the finish line of publication, and they share their “lessons learned” with you. There’s nothing quite like learning from a writer who has made to the other side. Plus, if you leave a comment at the end of the post before Friday, April 14th at 5 p.m. Pacific Time, you’ll be entered to win an ebook copy of the author’s book in a random drawing. I’m so happy to introduce you to Angela Dunning. Angela was one of my earliest coaching clients. I loved working with her to help her get in touch with her core, essential self and discover her life purpose and calling to work with horses. 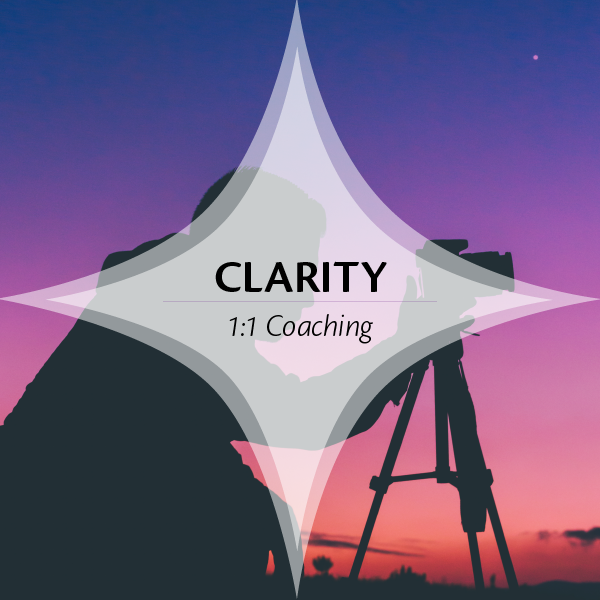 She was an ideal client, putting in the effort and earning the results we arrived at… and it was a memorable, magical moment when we lit upon Equine Facilitated Learning (EFL) as her career direction. Since then, it’s been a true delight for me to watch her career evolve and thrilling to see her publishing her book in her area of expertise. Honestly, words can’t convey the excitement I feel seeing Angela bring our work to this level of fruition all these years later. I asked Angela to share her insights about writing her book with us. Writing my first ever book, a non-fiction handbook for my profession of equine facilitated practice, was one of the hardest and most challenging things I have ever done. I had no idea just what exactly was involved in creating and structuring an entire book. Having written articles and blog posts for many years now I found writing a book to be a whole different ballgame. On top of this, the book’s focus was somewhat of a challenge for the industry it is aimed at, as I was attempting to question some current areas of practice and training, as well as hoping it would steer the profession back to a more horse-centered methodology. Gulp! So, here are my tips, having actually managed to successfully come out the other side of publication. I hope these tips will help and encourage other first-time writers, as I really felt this need myself as a first time writer. It was often a lonely and scary experience and hearing other writers’ experiences was both comforting and encouraging. Don’t underestimate how long the editing process takes. I found I did the initial main write in the first 6 months — and this was a complete joy by the way! However, it then took a further 14 months of nothing but editing, restructuring, and proof-reading over and over again to complete the book. Avoid giving yourself arbitrary timescales for completion and publication. My biggest error all along was hoping it would be completed much sooner than it actually was. I had already begun talking openly in my networks about the book and its themes with some enticing social media marketing posts. But as the months wore on I had no energy to continue these as all my time and energy was taken up with the editing process. These arbitrary deadlines I kept giving myself in the end just caused me a ton of unnecessary stress and repeated disappointment. Now that I have a more realistic idea of how long it takes I wouldn’t even mention publication, book-launches and the like, until much nearer the end of the editing process. Find yourself a really good editor. Someone who can be completely impartial yet who can also understand your subject matter. Ideally this is someone who can see the bigger picture and help with structure, logic, and readability. If they also do an excellent job of proof-reading and technical editing, then great. If not, then find yourself a great proof-reader too. My advice would be to tackle the structure first, once you’ve got the bulk of your material written. Finalize the structure and flow, and only then move on to the proof-reading and final tidying-up phase. Don’t underestimate the amount of energy and commitment it takes to complete a book. It is a marathon and can be gut-wrenching a times. Many times you will want to quit, put it aside, do it another time. Having great support throughout this process is vital. You need friends and family to listen and empathize with you. And you also need really supportive cheer-leaders who you can go to when you feel low, and who will remind you why you are doing it and why your book is important. Treating the experience like it was my full-time job was vital, from the very beginning of sitting down to write the content right through to the grueling final months of editing and more editing. Making this commitment to myself and my life to finish the book was crucial. I let go of other assignments and greatly reduced my other commitments so that I could do this. For me personally, and for my mental wellbeing, this was essential to enable me to stay focused and committed to the end product and its purpose. Many people say this is like a birthing process. I absolutely agree with this analogy. The labor-pains I endured, which went on for MONTHS, were at times excruciating. Don’t underestimate just what it takes on all levels to write and publish a book. It takes self-care, nurturance of each part of the project, support from others, and ideally, a skilled publisher to hold your hand through those final, painstakingly slow weeks of design, further editing and layout before you even receive a hard-copy in your hands. The post-birth relief once it is finally out there though is immense and very much welcomed. Finally, I would also like to say that I have learned the post-publication period is a very important time for great self-care. Personally, I was exhausted and also a little down during this time. Suddenly I had nothing to focus on each day in such a concentrated way. There was an odd sense of emptiness permeating my days following publication. Coupled with a strange silence as the book made its way onto its readers’ bookshelves and into their hands. I had to now just sit back and wait for feedback and income. Being gentle with yourself in this period is vital. It is not all champagne corks and celebratory dinners, although these are great, of course. It is also a vital period for rest, recuperation, and time to reflect on the intense process you have just been through, and perhaps put your nearest and dearest through too. Be gentle, rest, and allow yourself to sink into the enormity of what you HAVE accomplished. It is not for the faint-hearted! Writing a book takes courage, faith, and guts. And it changes how you see yourself and also how others see you too. A lot is shifting occurs as a result of becoming an author in addition to the actual material you have produced and this takes time to adjust to and integrate. The Horse Leads the Way undertakes a timely review of the rapidly growing profession of Equine Facilitated Practice (encompassing Learning, Coaching Therapy, and Psychotherapy but not therapeutic ridden interventions). 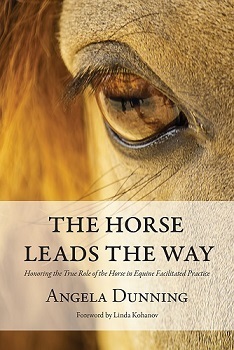 Part handbook, part personal story, the author blends embodied, grounded techniques and compassionate insights to gently guide this method back to its greatest teachers: the horses themselves. 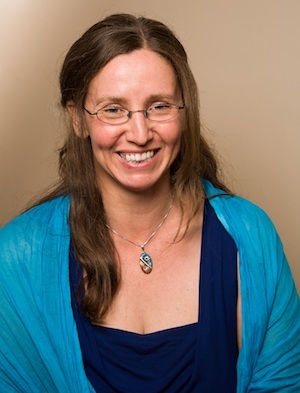 Using an approach which is firmly grounded in the view of the horses as sentient beings in their own right, Angela guides practitioners and training providers to employ methods which honor this right throughout all areas of their work. Not only does this protect and support their equine partners’ wellbeing and enjoyment of their work, but, she argues, it also brings maximum benefit to the participants as a natural consequence. It is hoped the book will mark an important turning in this blossoming industry’s future development. Angela Dunning is a sensitive, intuitive horsewoman. She is also a healer, teacher, writer, community worker and consummate holder of sacred space. A graduate of Eponaquest® Worldwide and LEAP, she established her Equine Facilitated Learning (EFL) practice, Equine Reflections, in 2007. She delivers private sessions, talks, workshops, taster sessions, supervision, mentoring, and training. She specializes in supporting women through navigating their own personal growth, reconnecting to their bodies, and reclaiming their true essence. Angela lives in Herefordshire, England and delivers her work in the UK and abroad by invitation. You can find Angela online at www.equinereflections.co.uk. Angela has graciously offered to give away 3 ebook copies of her book to my readers. 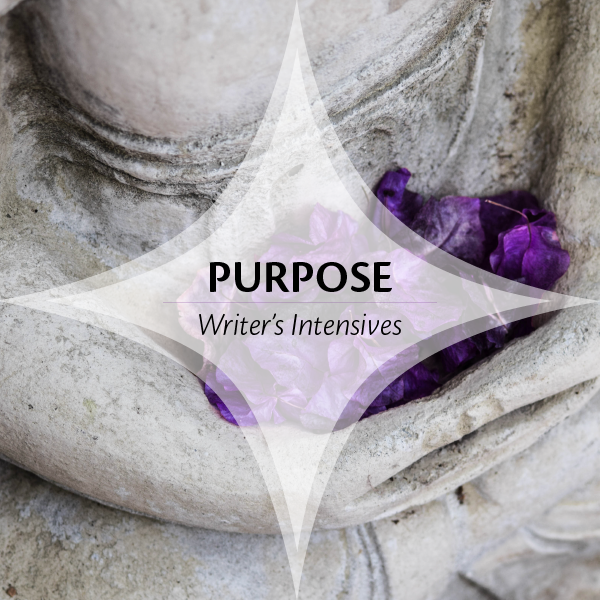 Leave a comment on the blog about one of your own writing lessons or something you learned from Angela’s insights before Friday, April 14th at 5 p.m. Pacific Time and you’ll be entered in the random drawing. * This is an affiliate link, which means my Called to Write business receives a small commission from any purchases you make using this link, and which I deeply appreciate.